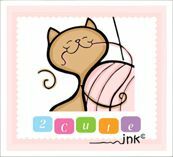 2 Cute Ink Digital Stamps Club. You can also get the 5 NEW digital stamps in my 2CuteInk Etsy Shop for 3.99 each! I really had a fun time making these cute designs and I can't wait to see what everyone makes!